A single 6mm BB is loaded into a shell style magazine with a capacity of 30 BBs, which is in turn placed in the chamber of the shotgun. All this gives the weapon added levels of realism. CYMA’s shotgun series has three main values at its core craftsmanship, good performance and reasonable price range. The front grip has an anti-slip texture that is very comfortable to use and its operation is very smooth. CM351 has a folding stock, which makes you can choose between a stable combat platform or an ultra compact CQB ready weapon. 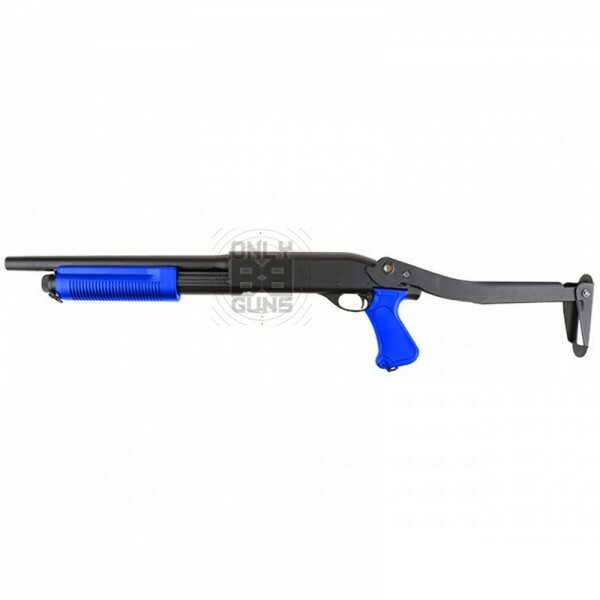 The shotgun is compatible with 30 BB shells from other manufacturers, such as Tokyo Marui and Double Eagle.